Aetheria Rose made a strong impression at the 2018 Thessaloniki International Wine Competition and won the highest award in its category. 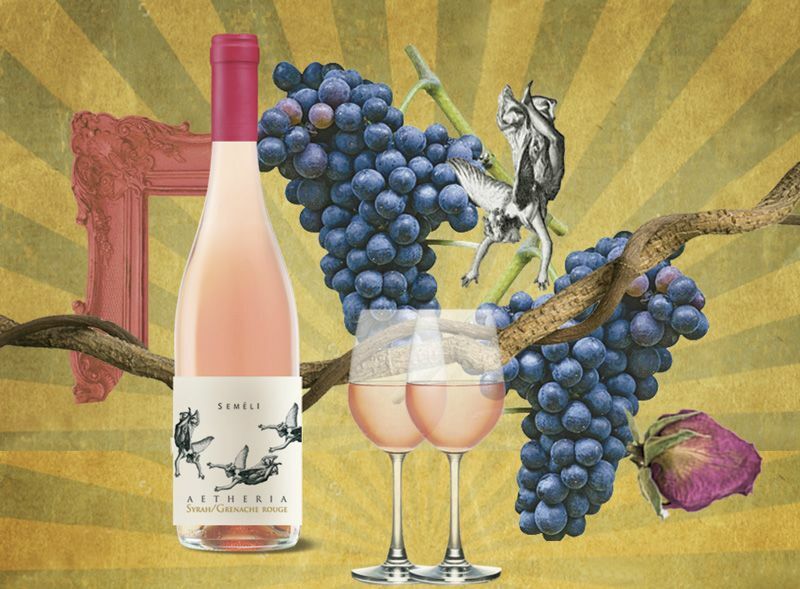 Aetheria Rose 2017 completes Semeli’s sophisticated Aetheria wine “trilogy” with a crisp, translucent and utterly irresistible new-age style rose that pairs extremely well with gourmet summer fare! Two French varietals, Syrah and Grenache Rouge, from upland Corinthia and the slopes of Mt. Cithaeron respectively, combine to produce this excellent rose. From an altitude of 450m the Grenache Rouge contributes its ethereal character, while the Syrah, from an 800m elevation in mountainous Nemea, adds the vibrancy and solid fruity flavor of an exuberant rose. Both regions feature clay soils and mild weather conditions, with cool summer nights helping the grapes ripen properly, maintain their acidity levels and produce well-balanced wines with pro¬nounced varietal characteristics. Pleasant and charming in the mouth and soft on the palate, right at the mid-point between white and red, just as a rose wine should be! A combined delight conveying the crispness of a white and the full mouthfeel of a red, without missing any of the vibrant flavors typical of a great rose. Aetheria Rose pairs well with all summer fare, from large fish and octopus braised in wine to vegetable risotto, shrimp or lobster spaghetti, braised rabbit, poultry, beef or lamb casserole, stuffed vegetables and moussaka. Also ideal as an aperitif.